IRA -- those three important letters can play a big role in your retirement savings plan. That's because an Individual Retirement Account or IRA helps protect you from three other little initials that can have a big influence on our finances: IRS. 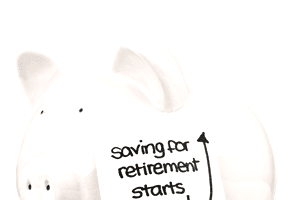 If you haven't already included an Individual Retirement Account in your retirement savings plan, you could be missing out on a great way to save for your retirement dream (a.k.a. “financial independence”) and reduce your tax bill as well. It is important to note that an IRA is not an actual investment, but a type of account that may be funded with stocks, mutual funds, ETFs, CDs, or other suitable investments. The maximum annual contribution for 2016 is the lesser of $5,500 or 100% of earned income. Taxpayers age 50 and older can contribute another $1,000 for a total contribution of $6,500. You can make a 2016 IRA contribution as late as April 15th, 2017. Before you run out to open an IRA, though, decide which one (traditional or Roth) is right for you. The ability to qualify for a partial or full income tax deduction for your IRA contribution is dependent on a couple of factors, including your income and whether you participate in another tax-advantaged retirement plan. Income limits also change over time. The deduction amount in 2016 will continue to phase out for singles or heads of household with adjusted gross incomes (AGI) of between $61,000 and $71,000, unchanged from 2015. That means if you earn less than $61,000 and are also covered by a retirement plan at work or do not have a 401(k) or similar plan through work, you will likely qualify for a full deduction. If your tax filing status is single or head of household and your AGI is greater than $61,000 but less than $71,000, you could qualify for a partial deduction. Individuals with incomes greater than $71,000 will not likely qualify for a deductible IRA contribution. For married couples filing joint tax returns and the spouse making the IRA contribution is covered by a 401(k) or related plan at work, deductions begin to phase out at $98,000 and are capped at $118,000. If you are not covered by a workplace 401(k) but your spouse is, you may qualify for a deduction if your combined AGI is less than $183,000. The deduction amounts phase out between $184,000 and $194,000 in 2016, up from $183,000 and $193,000 in 2015. If you are married filing separately and you have a retirement plan at work, your deductions phase out between $0 and $10,000. Although both IRAs offer tax benefits, the differences between the two can't be stressed enough. The traditional IRA allows federal tax-deductible contributions and tax-deferred withdrawals while the Roth offers federal tax-free qualified withdrawals (but no current deduction). If you are not eligible for a deductible IRA or think you may be in a higher tax bracket in retirement, consider a Roth IRA instead. Roth IRA contribution limits also remain the same in 2016. You can contribute up to $5,500 in a Roth if you are younger than age 50, or $6,500 if you are older. Keep in mind that Roth IRA contributions are not tax deductible, they are made with after-tax dollars. However, the money is generally not taxed again. The most appealing feature of the Roth IRA is that these type of retirement accounts offer tax-free withdrawals of earnings at age 59 ½ as long as the account has been open for at least 5 years. An added feature of flexibility exists because the contributions you make to a Roth IRA (although not the investments earnings) can be taken out tax and penalty-free before retirement. To qualify for a Roth IRA, there are income limits. For single and head of household tax filing status, the income phase-out range in 2016 is $117,000 to $132,000, up from $116,000 to $131,000 in 2015. The AGI phase-out range for taxpayers making contributions to a Roth IRA is $184,000 to $194,000 for married couples filing jointly, up from $183,000 to $193,000 in 2015. Therefore, in 2016 you cannot contribute to a Roth IRA if you have an AGI of more than $132,000 as a single person or more than $194,000 as a married couple filing jointly. Retirement savers who own their own business or are self-employed will notice IRA limits remain unchanged for 2016. The limit for SIMPLE IRAs is $12,500 in 2016, the same as in 2015. Catch-up contributions for SIMPLE IRAs remain at $3,000 in 2016. If you participate in a SEP IRA, you may contribute up to $53,000, or 25% of up to $265,000 in gross income in 2016. Self-employed business owners can also have their own Individual 401(k) or Solo 401(k). In 2016, 401(k) limits are $18,000. In 2016, contributors age 50 or older can add $6,000 to an individual 401(k), for a maximum contribution of $24,000. Keep in mind this limit does not include any potential "employer" matching contributions that you could potentially make for yourself. Remember, an IRA can be a great tax planning tool, even at the last minute. Contributions for 2015 can be made any time before you file your taxes for the year. That means you have until April 15, 2016, to make a contribution and take any applicable tax deduction. If you have a self-employed IRA and file an extension, you can make a prior year contribution before October 15, 2016.